Who else wants FREE Leads? "Ex-Cocktail Waitress Hacks Instagram for 21+ Red-Hot Leads Per Day for FREE, and Now You Can Too!" Warning: NO Tech Skills Required - I'll Prove it to You! If you have a smart phone, you're about to discover a 'recession & slap-proof website' GUARANTEED to flood your inbox full of hungry, interested prospects every single day. Hi, my name is April, and what I'm about to share with you will surely rock your world! I'm an ex-cocktail waitress who found a 'loophole' for building my business. I now enjoy financial freedom, I work my business a few hours per day, and 90% of my marketing is done on the move with my smart phone. Oh, and the best part: I have created a world where I never miss any of my kids' sporting events! I was working extremely long hours, I had to run around in high heels and a tutu for hours on end all through the night serving drunk gamblers, and I had zero energy (or time) for my babies. I was burnt out... My soul was dying... And worst of all I was missing my kids grow up. I decided to make a change, and as fate would have it a friend introduced me to the network marketing industry. And I thought I struck gold! I felt like all my prayers had been answered... All I had to do was get 2 people to get 2 people who got 2 people and I'd be rich! So simple, right?!? Except that didn't happen. I did EVERYTHING my upline told me to do, but nobody was signing up! And nada. Zilch. Nothing. It got to the point where I wasn't sure how I was going to pay my rent, but I didn't give up. And then I decided to try and leverage the internet to build my business because what I was doing wasn't working. 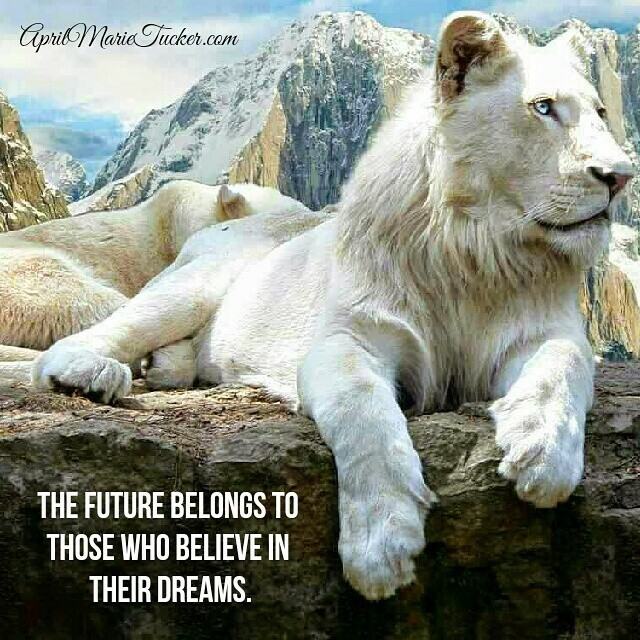 I started to generate a few leads online... A few people started to join my business... and I could finally start to see the dream lifestyle I was promised begin to take form. Are you ready for my secret?!? And I'd like to take you by the hand and give you my exact playbook that I still use today to get well over 20+ laser-targeted leads PER DAY, for FREE, with ZERO tech skills (or computer) required! 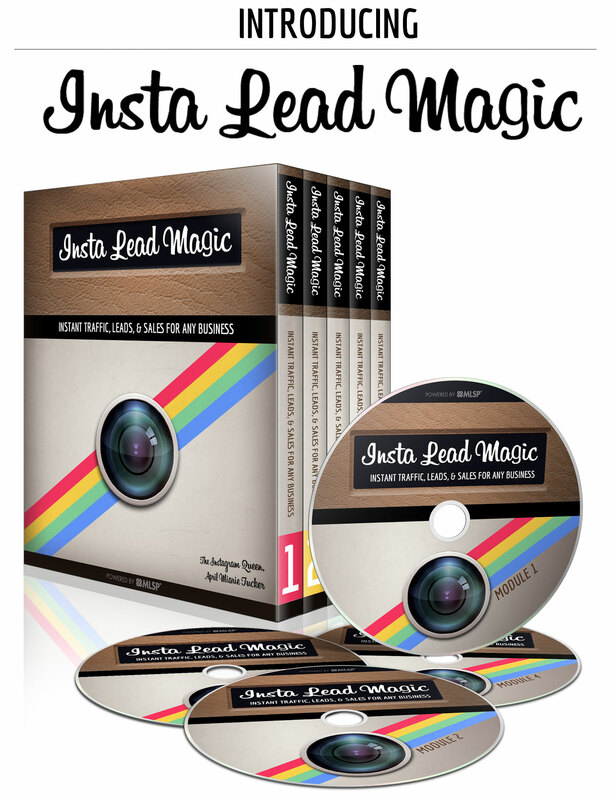 What You Get with "INSTA LEAD MAGIC"
Instagram Foundation 101 - Understanding the in's & out's of Instagram and what to do (and not do) to leverage Instagram for FREE leads 4 Life! My step-by-step playbook to set up your Instagram profile & bio fast so people actually click your link and YOU GET LEADS from Instagram! My secret strategy to link your Instagram account to your FaceBook, and create a viral presence that can triple your INSTA-traffic overnight. And so much more... Set yourself up for success on Instagram from day one! Magically brand your images so you always get credit for your work, post descriptions that get prospects to take action, and the best times to post for MAXIMUM exposure! INSIDE THIS PDF: Unlock the priceless time-saving APPS I love to CREATE BEAUTIFUL, ENGAGING PICS & VIDS FAST RIGHT FROM YOUR PHONE - This is my exact Instagram Content Creation Secret-Sauce! The fastest and most effective way to use Insta-Hashtags to get exposure, followers, and leads delivered straight to your inbox! 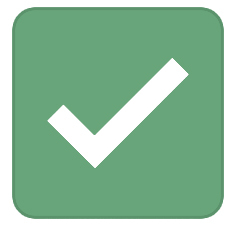 The most profitable research you will do this year: Hashtag research! 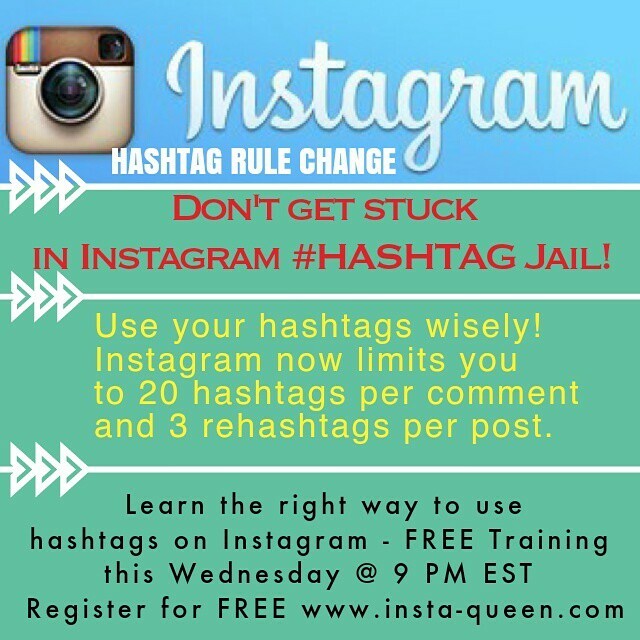 "Discover how to find the most profitable hashtags on Instagram for your business." My 'stealthy' secret weapon to crush out your IG marketing in 10 minutes (or less) per day. 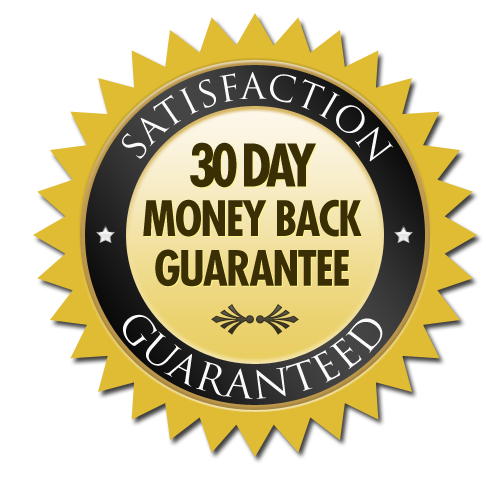 WARNING: This tool will have leads flooding into your e-mail inbox on complete autopilot. My 'stealthy' secret weapon #2 to get laser-targeted followers and red-hot leads on autopilot in your sleep for less than a quarter a day. Uncover how I use Instagram to simplify your entire social media marketing web, and take your online presence to a 6-Figure Level. How to effectively start conversations with your followers using Direct messaging on Instagram so they join your list GUARANTEED! 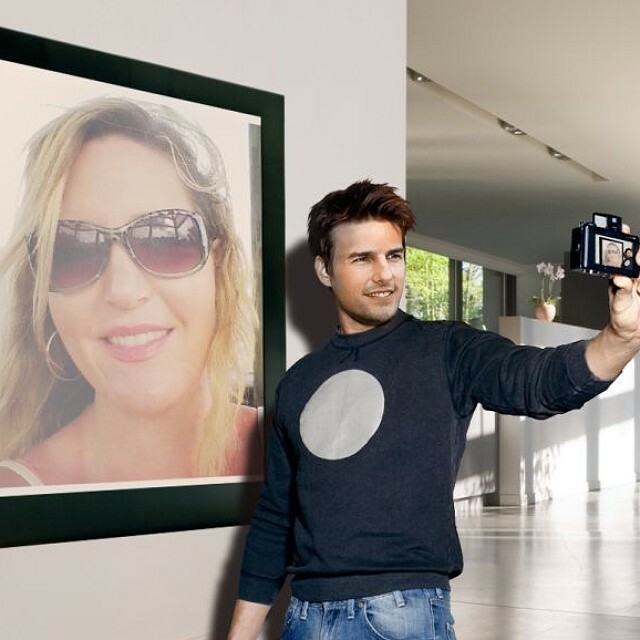 How to turn spammers into prospects, and prospects into buyers... this is AWESOME, and this trick can only be done via Instagram. 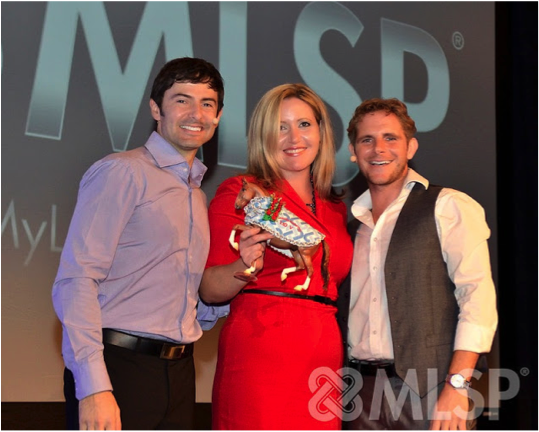 Take 2nd in an industry wide affiliate contest and won a MacBook PRO with ZERO ad spend! Instagram Contests for Insta-MASSIVE Exposure & Insta-Growth! Q&A - 20 min recorded q&a after all 5 modules! This whole Instagram course is about YOU - YOU getting more Traffic, Leads, and Sales for YOUR business! That's why following every single LIVE session I'm going to allow at least 20 minutes of LIVE Q&A and Interaction with YOU... I'm going to answer YOUR questions on the subject matter, make sure YOU understand the material, and most importantly guarantee you know EXACTLY the ACTION STEP TO TAKE this week to help you get leads and make money with your business! 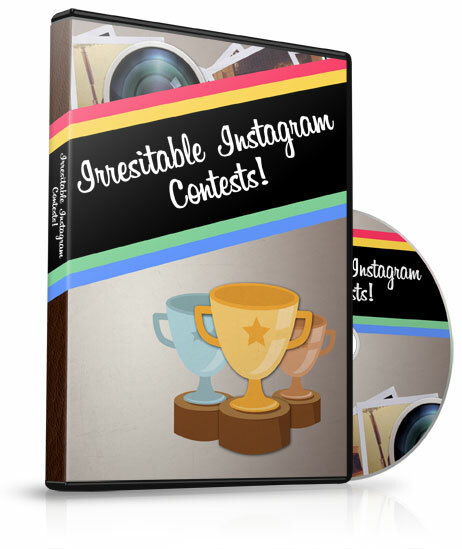 BONUS: Instagram Contests for Insta-MASSIVE Exposure & Insta-Growth! 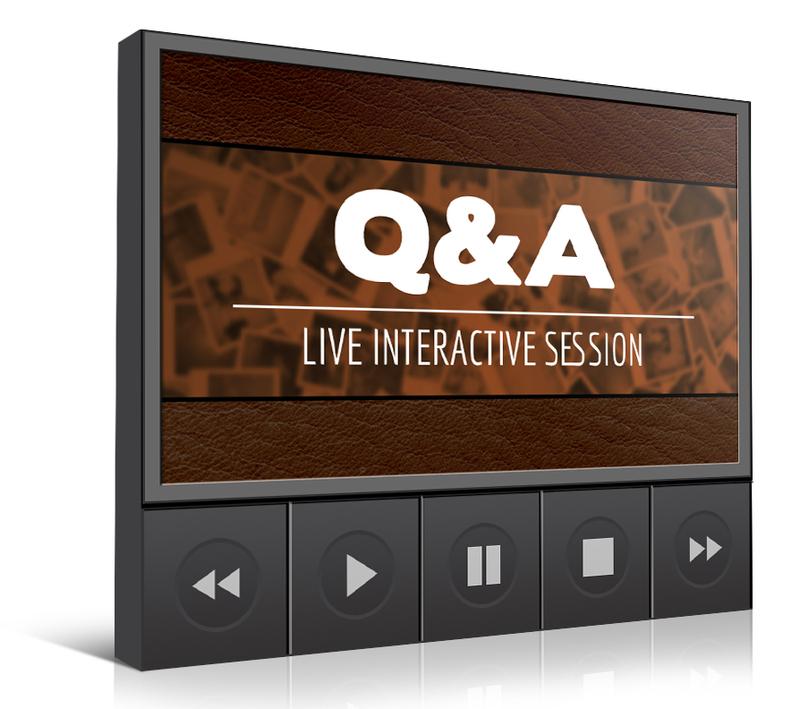 BONUS: Q&A - 20 min recorded q&a after all 5 modules! Bottom line is I never want you to experience painful lead-poverty again. 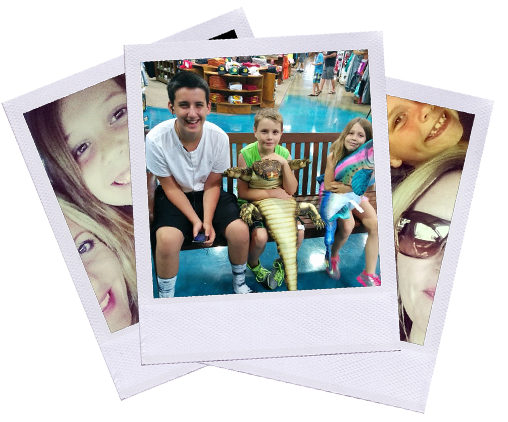 I've been able to take control of my life, my business, and I finally have my 3 kids back! THAT is what I want to give you, this blessing of Free Leads For Life for YOUR Business! In literally 3 weeks you will know EVERYTHING I did to set my family free leveraging one of the most powerful websites on the internet, Instagram! So, it's gut-check decision time. What if you only got half of the results I'm getting with Instagram? What if you only were able to get 10 laser-targeted leads per day... what does your business look like then? 6 months from today, can you IMAGINE the FEELING of real cashflow in your business because you now generate 10+ laser-targeted BUYERS to your website per day?! It's real. I'm proof. This strategy is NOT difficult. There is NO tech skills required. And you can run it all from your smart-phone! YOU WILL GET LEADS IF YOU IMPLEMENT WHAT YOU LEARN IN THE FIRST MODULE GUARANTEED! Leads are everything. Without them, you're out of business! Give me the next 3 weeks, and I'll give you a profitable business! Take the plunge. If you don't like what I teach or you don't GET LEADS after Module 1, I'll give you a refund. You are Ready... it's why you made it all the way to the bottom of this website. We are going to fly thru the material together before the holidays so you can all but guarantee you have your most profitable year in business in 2015! The world is waiting for you to STEP UP and PLAY BIG! P.S. 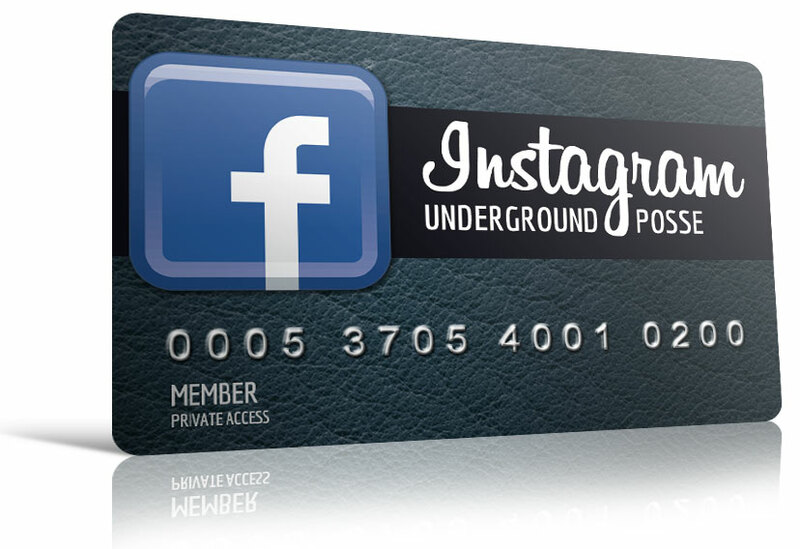 - This is EVERYTHING I know about Instagram and there is no 'continuity' or ongoing fees. You will get leads if you follow what I am about to teach you. P.P.S. - One of the coolest things about Instagram, besides all the FREE leads you are going to get, is it's FUN! Where else can you post FUN lifestyle pics like these and get paid!?! Profit with My Pinterest & Instagram Combo! Pinterest is the perfect compliment to Instagram, and I leverage Pinterest to take my Instagram Marketing to the Max! 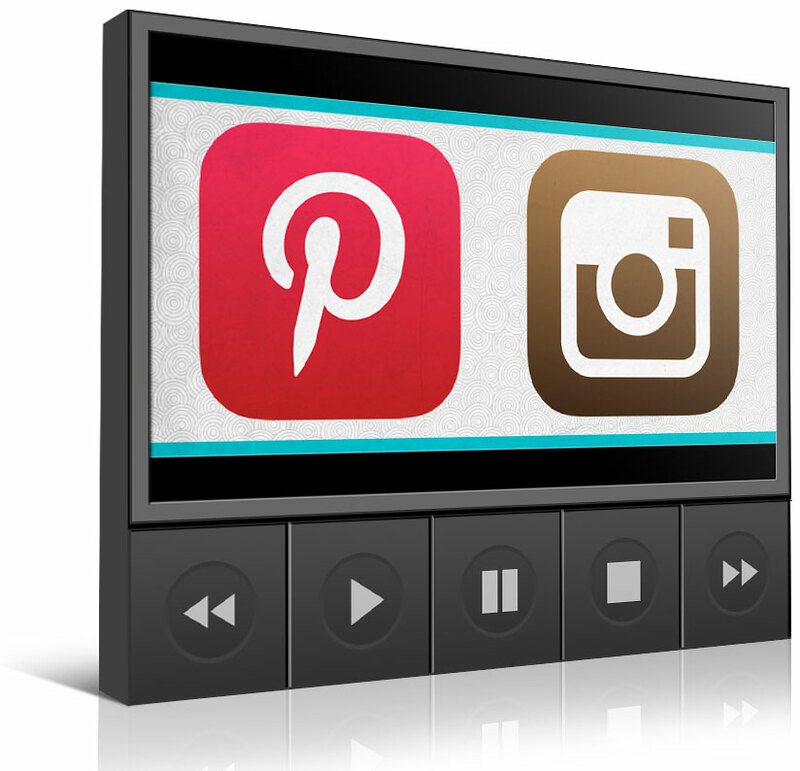 Let me walk you through how I personally leverage Pinterest in conjunction with Instagram for a Dangerously Effective 1-2 Profit Punch! I personally have 30,000+ followers on Pinterest... if you can get just a few thousand followers (you can, I'll teach you, it's easy), you will see a dramatic increase in visitors to your website! The Pinterest secrets to build your followers FAST for more traffic, leads, and sales on autopilot! The proper way to leverage Pinboards to attract new customers and reps from the 70 million (and growing) Pinterest users. Yout are NOT alone here... United we will win! "My first 30 days with April's Instagram secrets: 102 laser targeted leads, 3 reps in my business, a product sale, and 1,726 followers! 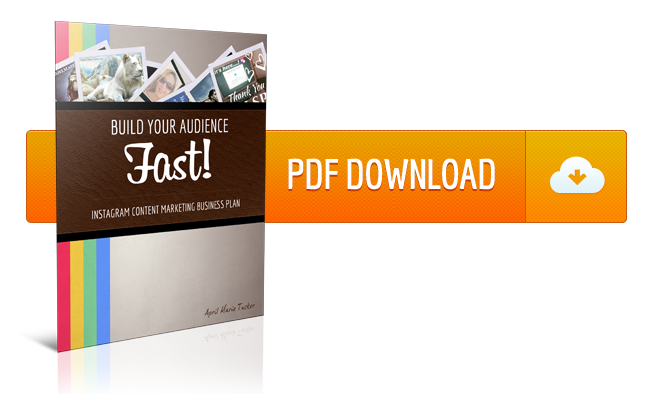 The first 8 months online without this training I only generated 46 leads! 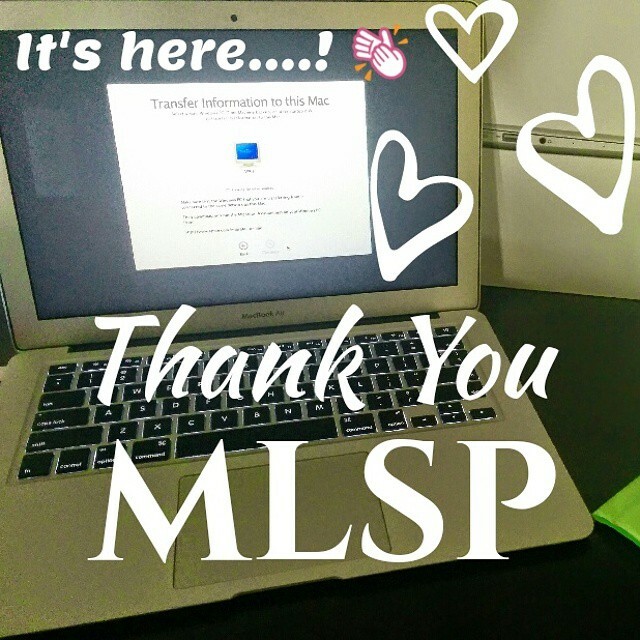 April's Instagram training has transformed my business, and now I have hope! 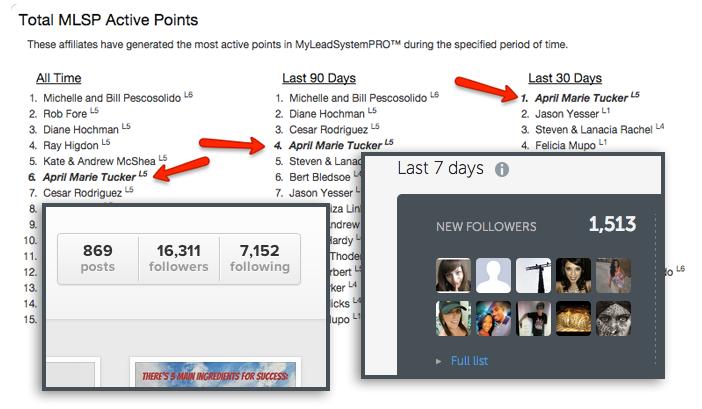 "As a result of April's Instagram training, I now have close to 8,000 people following me and I'm generating leads on a daily basis. I've now doubled the quantity of the leads I generate daily! 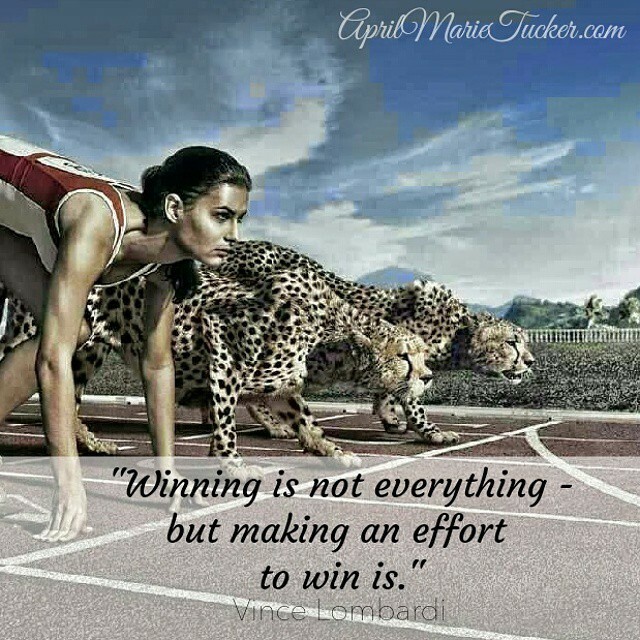 This training will get you leads in 24 hours." "Instagram is so EASY, and you get IMMEDIATE results! In the last 6 months I've generated over 700 leads for my business & 3,600 targeted responsive followers on Instagram: I'm now never running out of people to talk to... thanks April, you're an amazing teacher!" "For 6 years we struggled with painful lead-flow problems for our business. But get this... within 2 days of going through April's Instagram training we were already generating leads daily for FREE with Instagram! 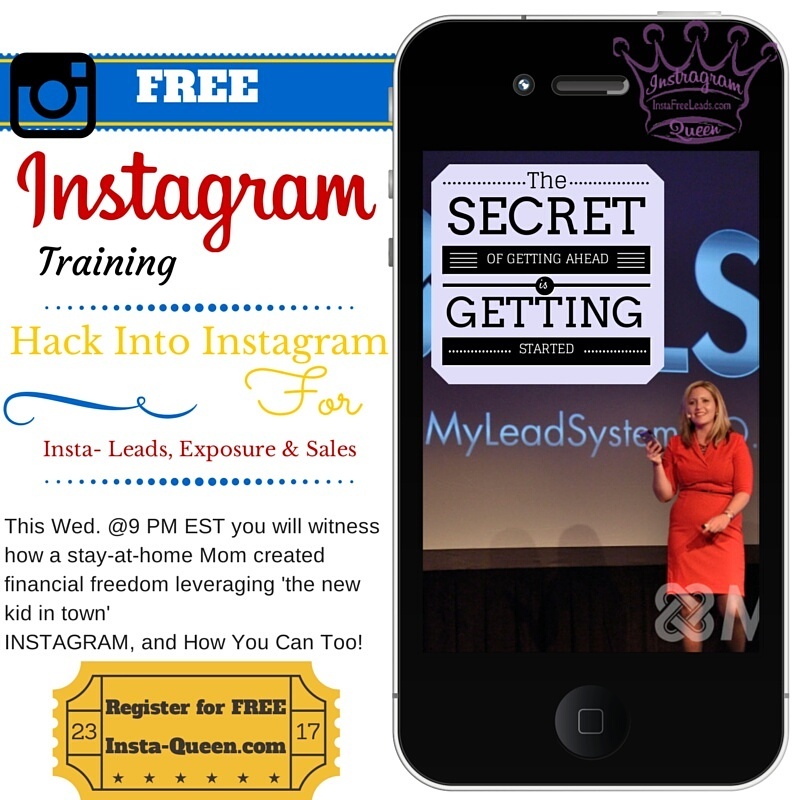 It's free leads, it's easy, and Instagram is HOT right now!" 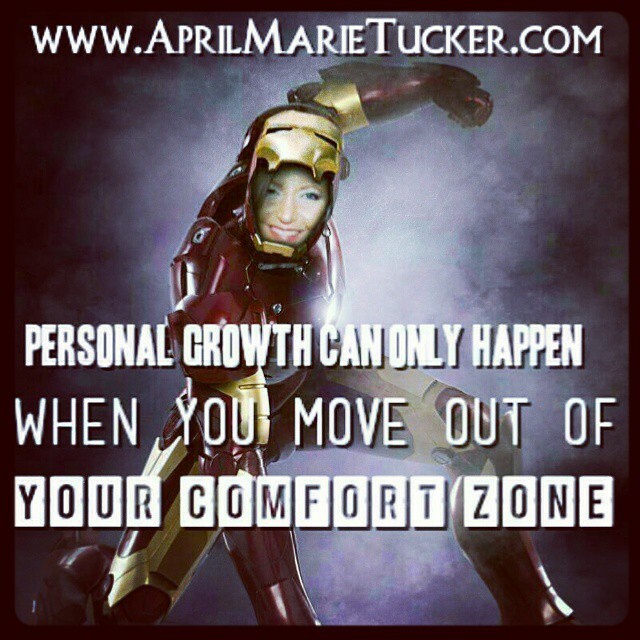 "Since I've started working with April and her Instagram training, I have almost 2,000 laser-targeted followers! Now when I post on Instagram, I ALWAYS get leads! 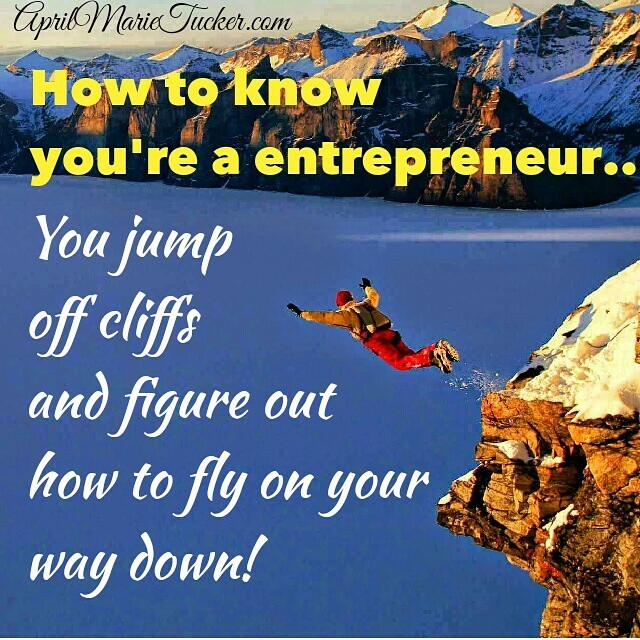 April will walk you step-by-step from the beginning to set your profile up for success!"